Reverend Joshua Sloan: Lord, as the day draws towards evening, this life grows to the end of us all, we say "Adieu" to our friend. Take him, Lord, but knowing Cable, I suggest you do not take him lightly. Amen. In direct response to the controversy which erupted over the unprecedented violence and gritty realism of The Wild Bunch, Sam Peckinpah did what many of the greatest American filmmakers have done over the years. His next project would end up being almost intentionally counter to the previous film. The result was The Ballad of Cable Hogue, a small-scale, intimate tale that is equal parts a nostalgic look back to the Old West and a tribute to the kind of man capable of surviving and thriving in such an environment. 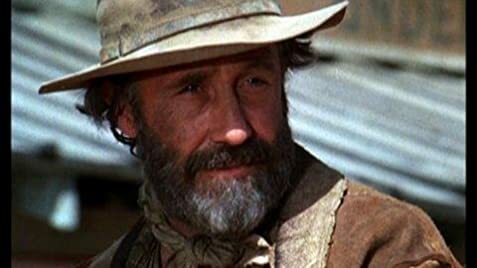 Jason Robards is touching and firm as the title character, left for dead in the prologue but able to fight through his misfortunes and create his own oasis. Along the way, he encounters a most unusual and shifty man of the cloth and a prostitute with a heart of gold. Stella Stevens is really wonderful as Hildy, one of the best examples of this most ancient of Hollywood screenplay clichés. Her romance with Hogue is both sincere and sad as Peckinpah uses this as a template for how the romantic West quickly found its way into decline and obsolescence. Peckinpah may have gotten a lot of flack for The Wild Bunch but this film received almost just as much criticism, ironically for being almost exactly not what he had come to be known for. However, some forty years later, Peckinpah's true vision of men unable to conform to the regularities of society shines through. Gorgeous photography, solid acting, a beautiful score and themes of survival and memory point to this as one of the most brutal Western director's gentlest and personal triumphs.